Seth Baumrin is the Artistic Director of two theatre collectives: SUBPOETICS INTERNATIONAL, a Paris-based theatre group whose members are from eleven nations and tour the world; and GERSHOM, a theatre group based in L’viv Ukraine. 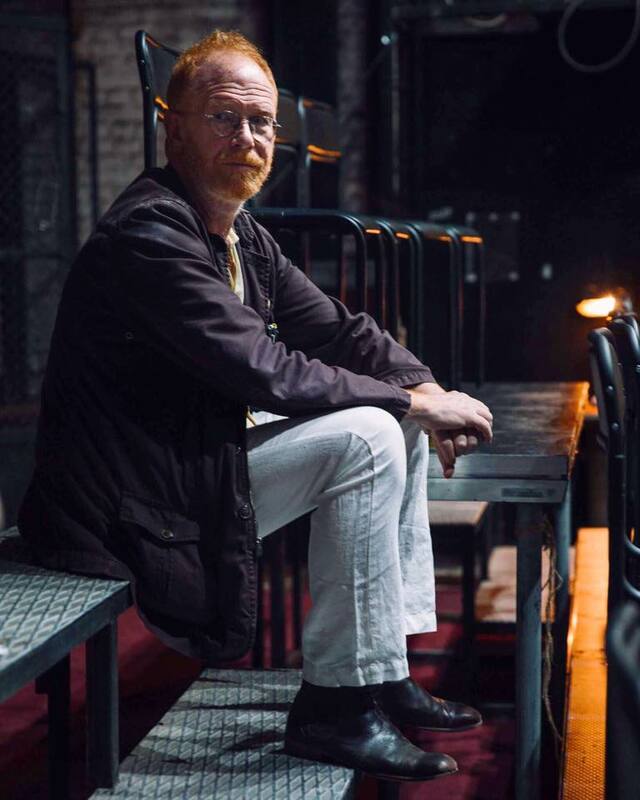 Baumrin also serves as the chairman of the Department of Communication and Theatre Arts at John Jay College of Criminal Justice of the City University of New York. He holds four degrees in theatre: PhD, M.Phil., MFA, and BA. He is the author of many articles on 20th Century theatre history, with a focus on the work of Eugenio Barba and Jerzy Grotowski. He also writes theoretical essays on axiologies and ontologies of the actor. Baumrin has directed well over 60 professional theatre and opera productions such as Offenbach’s Tales of Hoffman; Garcia Lorca’s When Five Years Pass; Calderon de la Barca’s Life is a Dream; Aeschylus’ The Furies; Euripides’ Medea; Tennessee Williams’s Summer and Smoke; and Carson McCullers’s Member of the Wedding to name a few. Over his career Baumrin has founded and served as the founding artistic director of five theatre groups. All of them survive to this day. Soraya has evolved with ALATetc. professionally administratively and artistically for many years now. Recent acting credits include: Recent Off-Broadway: The Aeneid music by Dunkan Sheik (Drama League, Workshop), Outside The World(Here), Rug Dealer (Women’s Project Theatre), Petrol Station (BAM/NYU), I am Gordafarid (NYTW/Rising Circle), Soundwaves: The Passion of Noor Inayat Khan (Fringe), Blackbird (one woman show, LocationOne), Korach, History of the World, SMOPS, Here We Are, No Place to Hide (Artistic Associate /The Living Theatre), Antigone, Betrothed (RipeTime), The Red Tent ( ALAT etc Joyce Theatre) Regional: Kiss (Yale Rep), The Who & The What (Milwaukee Rep), Scorched (Syracuse Stage). In the Heart of America (Interact Co.), Wintertime (SanJose Rep), Afghan Women (Passage Theatre), Sodom & Gomorrah (O'Neill), Blue Demon (Williamstown Theatre Festival, Darko Tresnjak dir.) Notable TV/Film: “Madam Secretary,” America 1979, Eugenia & John, Encounter with Simone Weil. Graduate & Adjunct Professor at Fordham University, BAADA, NTI, & St.Petersburg Arts Theatre Academy. Also runs her own Ayurvedic healing practice and has collaborated in consultations with Deepak Chopra for many years. Steven Fechter co-wrote the screenplay for the 2004 film The Woodsman (based on his play). For that film he was a Humanitas Prize finalist in screenwriting. The Woodsman play (published by Samuel French) has been produced in North America, Europe, and Australia. In the summer of 2014, 360repco produced the world premiere of his play Lancelot at The Gym at Judson in New York. His other theatrical works have been produced throughout the U.S. Recent productions include Resonance Ensemble’s 2011 production of Shakespeare’s Slave at the Clurman Theatre in New York. In 2012, Thom Fogarty and Other Side Productions produced world premieres of his plays The Artifacts andThe Mentee at the Bridge Theatre in New York. In 2015, The Execution of Saint Luke premiered at John Jay College of Criminal Justice. For the 2015-2016 season, Theatre Bielefeld staged the world premiere of Serpent’s Tooth in Bielefeld in Bielefeld, Germany. In 2017, his opera libretto The Darkest Light in the Heart had an AOP First Chance Reading at The American Opera Projects. Upcoming in 2018 is the premiere of Bergen in the Broadway Bound Theatre Festival at the 14th Street Y Theater. Fechter is a member of Oberon Theatre Ensemble, Resonance Ensemble, EST Playwrights Unit, and The Dramatists Guild. Raymond Johannes Kraft is an aspiring Actor and writer. Raymond graduated from John Jay College of Criminal Justice with a Bachelor’s Degree in Criminal Justice. A degree that currently sits on his mother’s mantle collecting dust. He found theatre towards the end of his studies and ever since then has shifted his focus to becoming a part of the industry. Theatre has unlocked his creativity, besides performing, he is also focused on developing his writing skills as a play/screenwriter. Though Raymond has had no formal theatre education, he continues to learn a great deal being mentored by both Vernice Miller and Steven Fechter. Raymond's past credits include Jitney (Doub), The Execution of Saint Luke (Luke) and A Sketch of New York (Various). He also has backstage experience; Assistant Director for The African Company Presents Richard III and Production Assistant for Martha Graham Dance Company. Angelica is very excited and grateful to be joining ALATetc as Dramaturg. Besides dramaturgy Angelica is a poet, writer, actor and art activist who believes that history and knowledge sharing is one of the most effective and consistent ways to keep our people, languages, cultures and resistance alive. 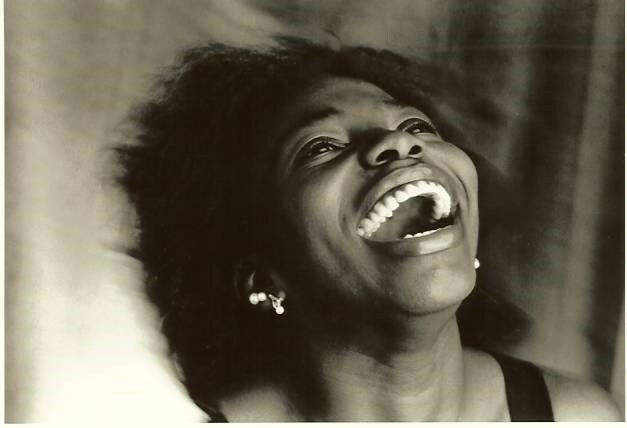 “Drama is and will continue to be a tool of the oppressed to dismantle that which is not clear in our world, I am excited and energetically charged to contribute as myself and my ancestors for the enrichment of this exploratory work.” Angelica has served as stage manager, production manager, actor and dramaturg on various projects including Jitney by August Wilson directed by Vernice Miller; Ruined by Lynn Nottage directed by Margit Edwards and The Execution of St. Luke, Written by Steven Fechter.